Traditional methods of repiping a home’s sewer system often involved extensive digging across a homeowner’s property and could even include breaking through the walls and floors in the home. The amount of digging required to dig the trenches and expose the pipes took several days to complete and made repairs far from desirable. At Bob Oates Sewer and Rooter, we offer innovative home repiping services for homeowners in Old Ballard that are a stark contrast to the dig-and-replace standards seen in the past. Due to the advent of trenchless technology, home repiping has become a more streamlined and precise process, allowing pipes to be replaced with less labor and machinery involved. Our technicians use the latest and most advanced equipment to install new pipes. When we arrive on your property, we start our visit with a sewer camera inspection. No time is wasted trying to speculate what the problem could be, and our inspections allow our diagnostics are completely accurate. For instance, galvanized steel pipes wear down and thin over time, producing a weeping effect that shows in the joints, the fittings, and the valves. A quick inspection reveals that these sections may have been overrun with corrosion, rust, and other calcified matter. Older homes may still have copper pipelines installed, and these pipeline materials are prone to having leaks form as well as losing pressure over time. The inspection process is vital in considering if repiping is the best solution for solving the issue. Regardless of the type and severity of the damage discovered, if our technicians conclude that home repiping is the ideal solution for eliminating these problems, this innovative and effective process is guaranteed to offer long-lasting, satisfactory results. The pipeline is cleaned of debris and excess waste to ensure that the liner we install will adhere to the inside of the pipe properly. Our home repiping process is minimally invasive and doesn’t require extensive digging or property damage. We insert a liner into the pipeline and inflate it, forcing the epoxy resin to coat the diameter of the pipeline’s interior. The epoxy resin substance hardens within a few hours, and after the curing process is complete, the resin acts as the new pipe. The resin hardens to be smooth and jointless, ensuring that the liner won’t experience problems with clogs or tree root infestations. As a result, this durability allows these new pipes to function properly for at least fifty years or more—a considerably longer lifespan than traditional pipeline materials—and discourages the need for frequent repair or replacement work in the future. 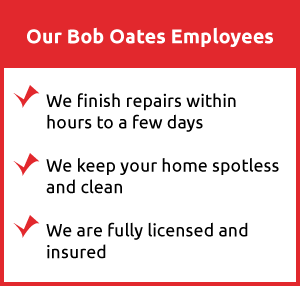 At Bob Oates Sewer and Rooter, our home repiping services are catered to the types of pipes that we need to fix, and this allows our work to be flexible and relied on by our customers all across the Old Ballard community. Count on us to arrive promptly and work quickly and efficiently to restore your pipes. Our precise work, attention to detail, and fully-equipped vans ensure that the job will be done correctly the first time. 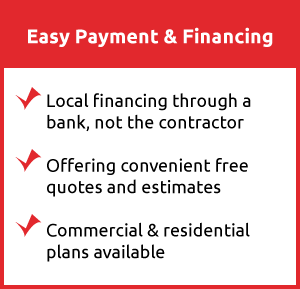 Call us today to learn more about how the modern home repiping process can restore your pipelines.